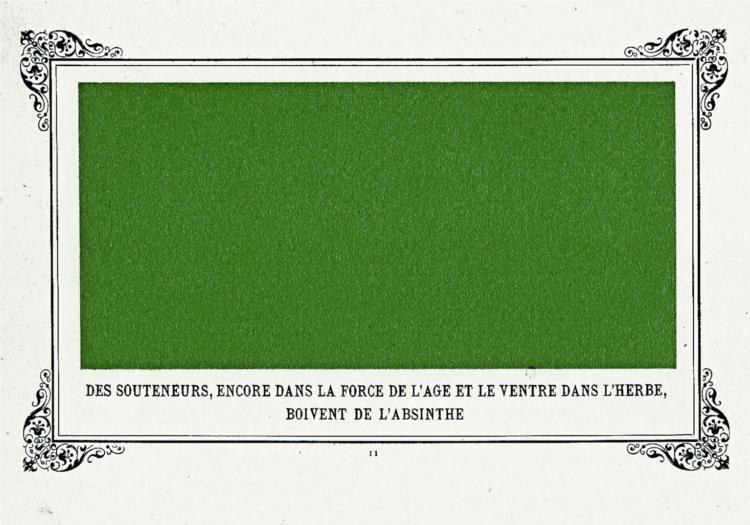 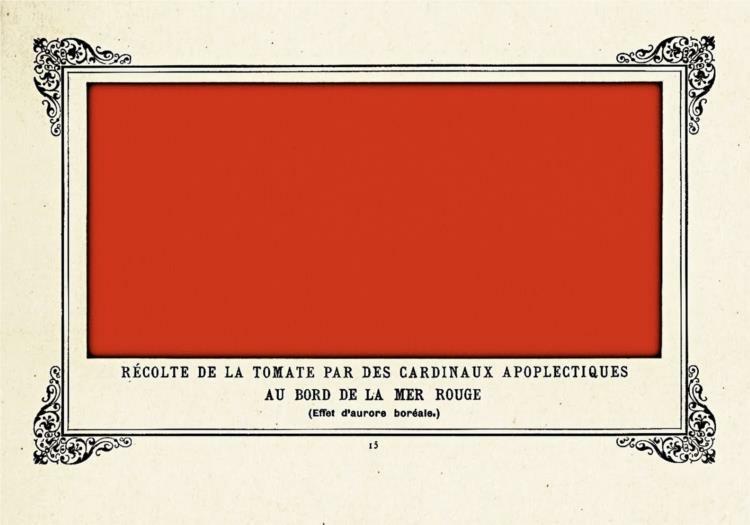 Allais participated in humorous exhibitions, including those of the Salon des Arts Incohérents of 1883 and 1884, held at the Galerie Vivienne. 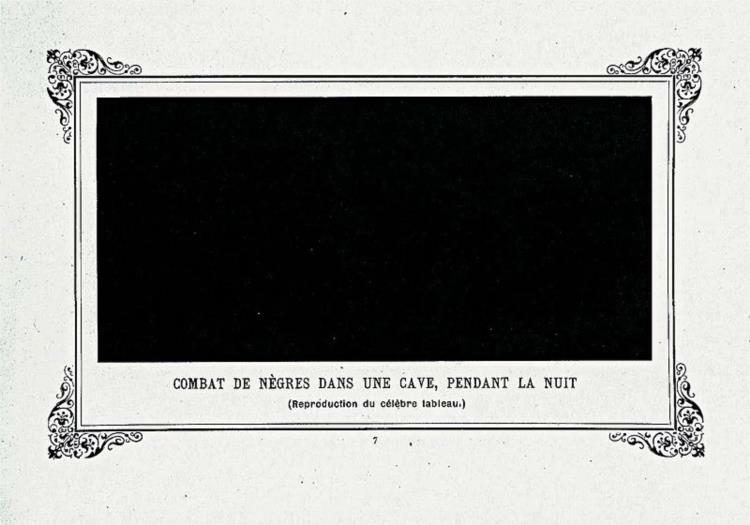 At these, inspired by his friend Paul Bilhaud's 1882 exhibit of an entirely black painting entitled "Negroes fight in a tunnel" (which he later reproduced with a slightly different title), Allais exhibited arguably some of the earliest examples of monochrome painting. 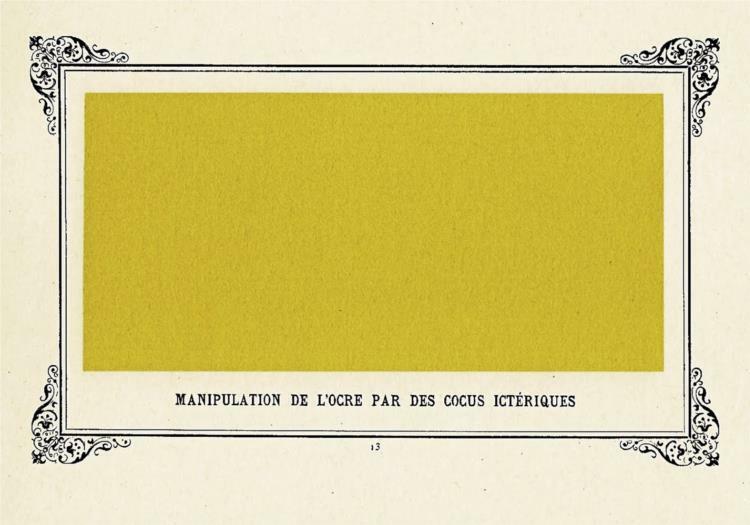 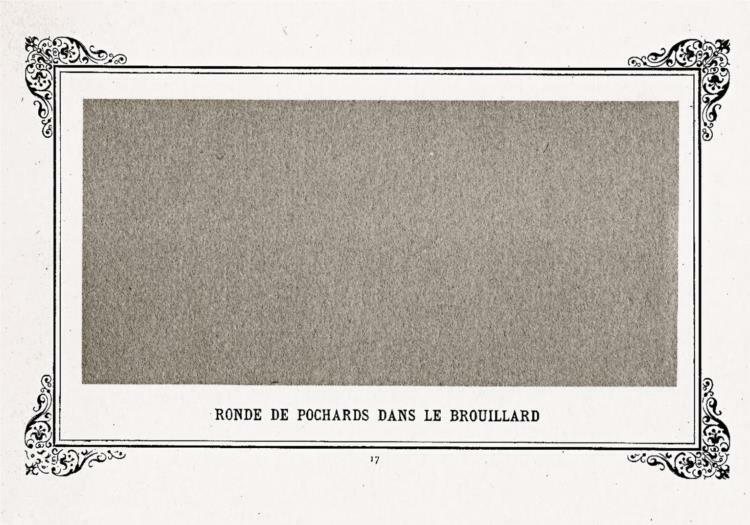 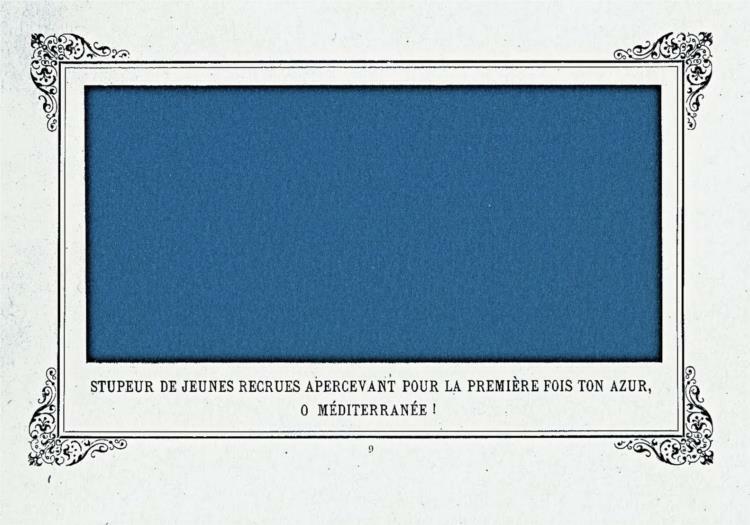 He generalized the concept of Bilhaud, which later resulted in the Album primo-avrilesque (April Foolish Album) - a portfolio of seven monochromatic images, published by Paul Ollendorf in 1897. 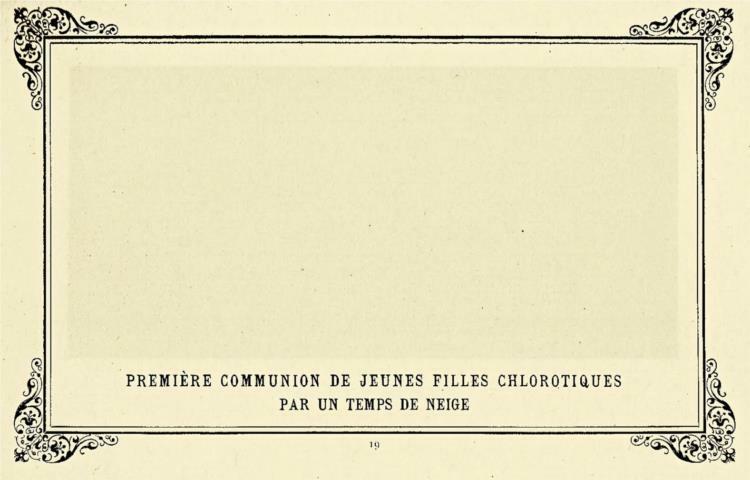 A reference to the title of Allais' work has been recently discovered to have been hidden by Malevich under the paint of his famous "Black Square".